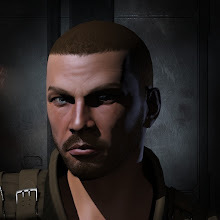 Currently there is a threadnaught on the Eve forums because the CSM Summit meeting minutes came out and CCP pretty much said that they were not going to revamp Player Owned Starbases (aka POSes) as previously discussed due to them only impacting a small portion of the community while requiring a lot of effort to develop. 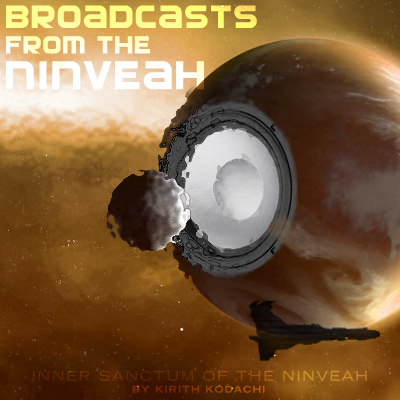 There is lots of places where people discuss this malarkey (including episode 82 of the longest continuously running active podcast, Broadcasts from the Ninveah!
) so I won't rip into CCP's shortsighted stand here. Instead, CCP, I'm going to give you an out. What the hell, you say? Look, the reason that POSes are used by only a small number of people is because of cost and practicality and not desire. So let's give the playerbase something that fulfills the need for players to establish their own bases in hostile territory without incurring the massive ISK, Time, and Effort cost that even small towers do now. I propose three sizes of platforms (large, medium, small) and they would cost 50/35/20 milllion ISK or thereabouts to produce. They would have fuel costs of about 15/10/5 million ISK work of fuel blocks (and charters on top of that for high sec) to run and must be anchored like towers, but can be anchored anywhere in system, not just moons. However, to balance that flexibility they can be scanned down like a ship. They would sport some CPU and Powergrid to be able to host a handful of small tower guns but lack a force field. They would have a built in corporate hanger and ship assembly hanger and maintenance array; storage for ships would be 500,000m3 for large, 350,000m3 for medium, 200,000m3 for small and corporate hangers would be 50,000m3/35,000m3/20,000m3 respectively. Defensively, I would have the hitpoints for the large being just under that for a small tower, with medium platforms and smaller platforms scaling down from there. The goal is not to create a fortress but a resupply point, a home away from home. No reinforcing either, because of the next paragraph. In order to prevent enemy fleets from simply roaming around and sweeping the platforms from everywhere they are found, I propose that platforms have a built in cloaking device that operates as long as the platform has fuel. It deactivates when a ship comes within 2000 meters and has a 30 second cooldown before it can activate again. The cloak does not cover any sentry guns setup at the platform.I think this along with requiring fuel is a nice balance to its vulnerability otherwise. These platforms would allow players to setup bases away from stations in potentially hostile territory without the massive overhead that even a small POS incurs. They would be far more accessible to newer players (and we know that perks your ears right up, eh CCP?) while giving new content to old players to try out. They just need to make it better to live out of a POS/POP than to live out of a station. Get us out of stations and into space. Make it so that everyone will want to live in a POS. Some people will temporarily squat in a station because they are far from their POS, or because they can't afford a POS yet, The rest of us are out there, living it up in space. Occasionally we return to station to trade or update our medical clone, but most of the time we spend in space. The theme for the next release should be "Living in Space" and it should be about us moving out of NPC stations and claiming our own spot amongst the stars. The only problem would be the guns not being cloaked. If you knew the platform was cloaked you just scan for the guns, warp there and bam! One less platform. Its meant to be a trade off: cloaking or defense weapons. so... you mean an orca that you can anchor battery around it? That does not need another character to pilot, costs and order of magnitude cheaper, and can be expanded upon in the future. With only a place to dock up and reship; I am having a difficult time seeing WHY I would want to use a destructible base as opposed to a station. I think some sort of agent communication / manufacturing / PI / research CHOICE would need to be involved to make it worth it. Otherwise I don't see the draw. When in hostile space where you can't reship or dock in the local stations, this would provide an easy way to stock supplies in teh warzone. Plus, your own home is an attractive draw to a lot of players/. Have them be upgradable, much like outposts are. You can add factory slots, research slots, refinery, etc. I haven't lived in WH space, but have lived in low and 0.0 with no outposts. (Managing 10+ POS in both cases) A small tower 30m onlining , and seconds now for arrays, provides consierably more defense and gives options of manufacturing, research, or additional guns that the currently mentioned platforms don't provide. If this is supposed to be attractive to newbies, then HS utilization needs to be considered. Utilization in low, WH or 0.0 implies players with experience. Add a gimped refinary and a single production, research and copy slot and you have solved a lot of problems even if waste and time is worse than any other structure. O and guns should not be scanable, while cloacked and should have a decloak targeting delay as per normal, standard ship mechanics is easiest. Also you board the pop to fit it as you would a sip, only highslots and boarded you have gun control as well. Interesting concept, however, I won't support it because some idiot at CCP might think that if they do this, they won't have to revamp POSs. 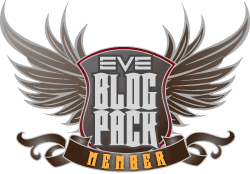 I'm sorry CCP, but the horrible POSs we have now are the greatest barrier to their potential, emergent, use. Treat a POS as a capital ship you can anchor in space. It can be fit (and refit) as necessary for industry, fleet support, defense, or as a corp office, or a mix of the above based on cpu and pg as is everyting else. Make it so it can be boarded (with appropriate skills) by whoever has the password while the power is running, and open to anyone if the power dies. While in its anchored configuration it uses POS fuel blocks. No POS force field, but no external structures (optional bits like more ship bays, storage bays, guns, etc. are added to it like any other capital ship. It could fit a cloak (that reactivates after the approriate timer if no ship remains in range.) Perhaps it has subsystem layout like t3, which focuses on various options to allow it to be tailored to its use. This way we won't have offline towers standing around for no purpose. it could be anchored anywhere, but represents a investment similar to the current POS towers in term of cost. Oh, and the damn burn rate of fuel blocks is entirely based on the actual PG utilized. Again, give the blessed benefit of being careful to those can. a jump drive could be attached, perhaps, as an option. Although I'm leading toward making it more like an Orca, a capital ship but able to fly in hisec and use gates. Design would be optimized to prevent the attempted use of these for gate camps. maybe if the "offensive" subsystem is used, as a thought, then defence suffers enormously. In any event, this is how I see an alternative to the current POS arrangements. 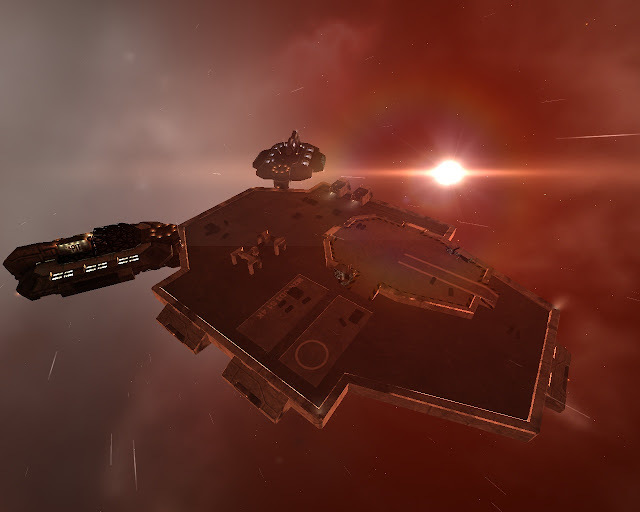 If a rorqual can have production slots, so could the this style of POS. Allowing reconfiguration options could give this ship the ability to be a combat / research / manufacture / refining / reshipping platform that could be cloaked via Improved Cloak II. The primary question being: "would this thing have to be piloted?" It appears that the answer would be "no", which would introduce a new mechanic to the game... an unpiloted ship doing industry for the owner. Was just thinking about my previous post, make the modules something like packaged containers that can be hauled by a hauler and have the research, refining, etc be coupled with the all in a box personal mini module. A small pop would then use it's cargo space for these containers and only so many or even one at a time can be unpacked and thefore opperate. A medium pop could have space for two containers, three for large. You could have all kinds of modules in the hanger as long as they are packaged.